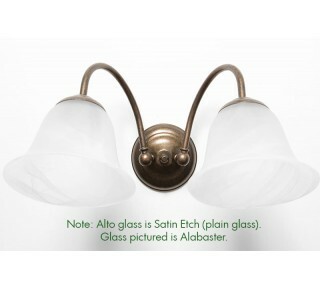 European satin etch glass wall bracket. Uses 2 GLS 60w max BC lamp. 380mm wide with 280mm projection.